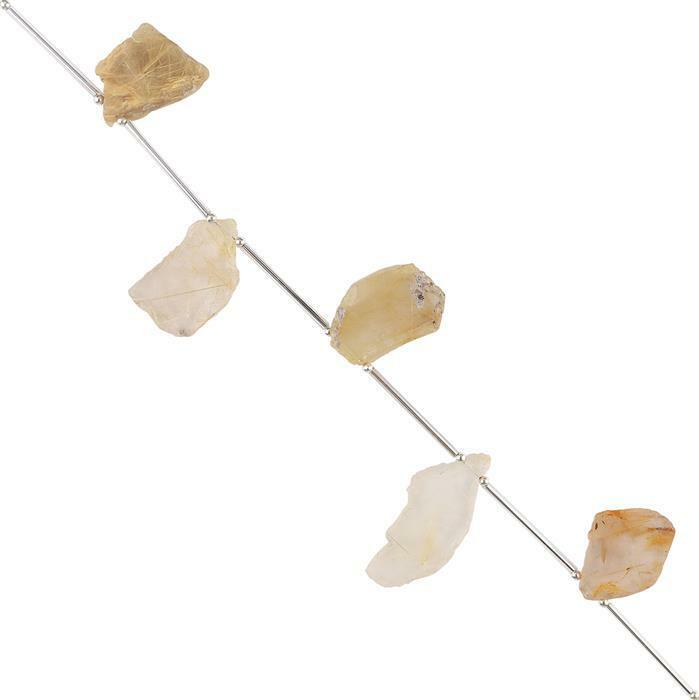 These beautiful Golden Rutile Plain Slabs will add an air of elegance to your new jewellery!! Please Note: These gemstones are based on carat weight; quantity and sizes may vary than that of the image. Whenever you buy from us you have the benefit of our "No Quibble" 30 day money back guarantee, which starts on the day you +recieve your goods, to give you that extra peace of mind. If for any reason you are not completely satisfed, just complete the +returns form enclosed with your delivery and send it back to us along with the goods for a full refund. Love these slabs and may purchase more for my projects if available. 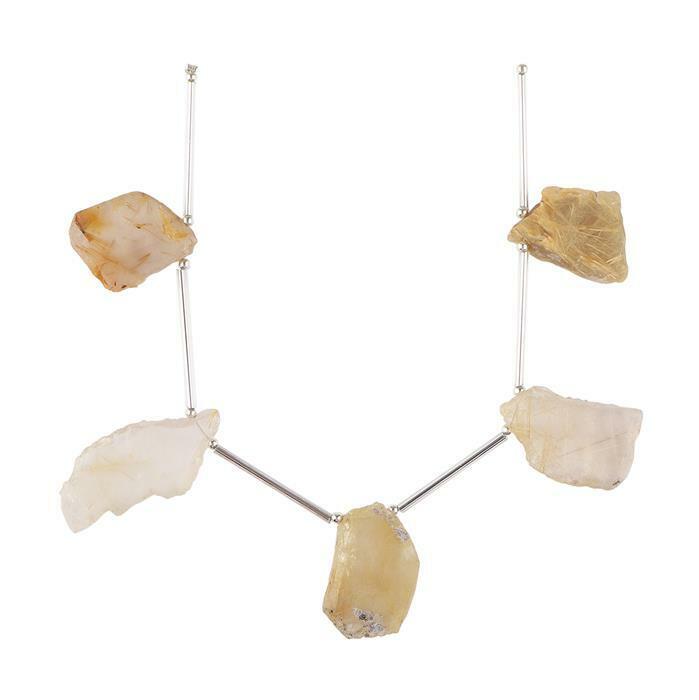 158cts Golden Colour Coated Rutile Graduated Faceted Irregular Nuggets Approx 8x6 to 15x10mm, 16cm Strand. 135cts Golden Rutile Graduated Faceted Medium Nuggets Approx 12x9 to 20x12mm, 18cm Strand. 42cts Black Rutile Graduated Faceted Rondelles Approx 3x2 to 9x7mm, 16cm Strand. 40cts Black Rutile Graduated Faceted Flat Drops Approx 5x4 to 11x10mm, 20cm Strand. 142cts Black Rutile Graduated Faceted Fancy Shape Approx 12x10 to 19x15mm, 20cm Strand.